An oil-free, feather-light lotion to help hydrate while reducing shine. 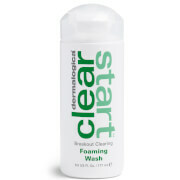 Non-greasy formula soothes irritated skin and helps eliminate congestion while preventing future breakouts. Microspheres help absorb oil on the skin's surface, leaving skin with an all-day matte finish. Formulated without artificial fragrances and colors. "...Ultra-light and paraben-free, microsponge technology that stops oily shine, regulates sebum production and controls breakout activity. - New Beauty"
active ingredient: Salicylic Acid (1.0%). other ingredients: Water (Aqua), Butylene Glycol, C12-15 Alkyl Benzoate, Potato Starch Modified, Silica, Hyssopus Officinalis Extract, Melissa Officinalis Leaf Extract, Echinacea Purpurea Extract, Enantia Chlorantha Bark Extract, Yeast Extract, Aesculus Hippocastanum (Horse Chestnut) Seed Extract, Salix Nigra (Willow) Bark Extract, Allantoin, Panthenol, Sodium PCA, Bisabolol, Niacinamide, Ammonium Glycyrrhizate, Zinc Gluconate, Caffeine, Biotin, Phospholipids, Magnesium Ascorbyl Phosphate, Camphor, Menthol, Hamamelis Virginiana (Witch Hazel) Water, Oleanolic Acid, Sodium Hydroxide, Potassium Cetyl Phosphate, Glyceryl Stearate, PEG-100 Stearate, Cetyl Alcohol, Xanthan Gum, Vinyl Dimethicone/Methicone Silsesquioxane Crosspolymer, Nylon-12, Glycerin, Disodium EDTA, Ethylhexylglycerin, Phenoxyethanol.